Nowdays, with the fastest growing of Android and its popularity, many people change their smartphone to Android. One of the most important thing when changing to a new phone is to keep our contacts from older smartphone. The process to backup and restore is easy when the change is from the same platform but it might be difficult if the change is from different platform. I had this problem when my friend asked me to upgrade his phone from Blackberry to Android. My solution was simple, since my friend didn’t use Gmail on his Blackberry i had to backup the contacts using Blackberry Desktop Software into a CSV file (comma separated) then import it into Gmail contact. Android then will automatically sync the contacts from Gmail into phone’s contact list using Android Account Sync feature. In this tutorial i’ll try to explain the import steps in a simple way so it can be easily understood by people who are new to Android . 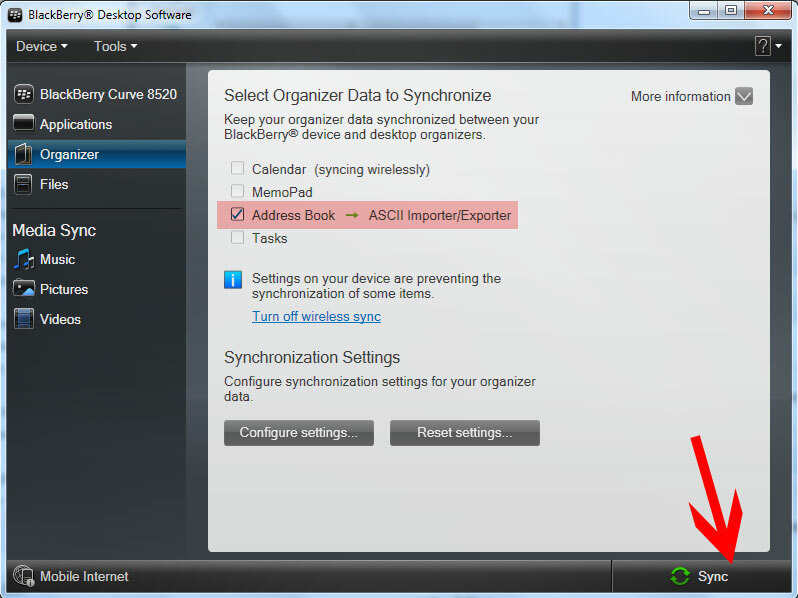 Note that there is another way to import contacts from Blackberry. If you already use Gmail on your Blackberry, you can turn on the Contact Sync option on Email settings so your contacts will be synced automatically with Gmail contact. This tutorial is suitable for people who do not use Gmail on their Blackberry. 1. 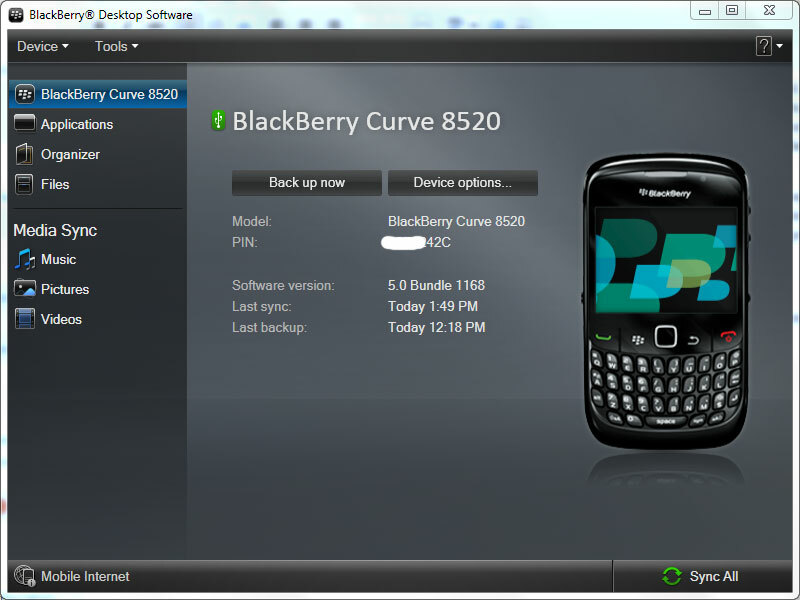 Backup Blackberry contacts to computer. The first step is to backup your Blackberry contacts to computer using Blackberry Desktop Software. If you don’t have the software installed, go to this link and download the appropriate version for your computer (Windows PC or Mac). 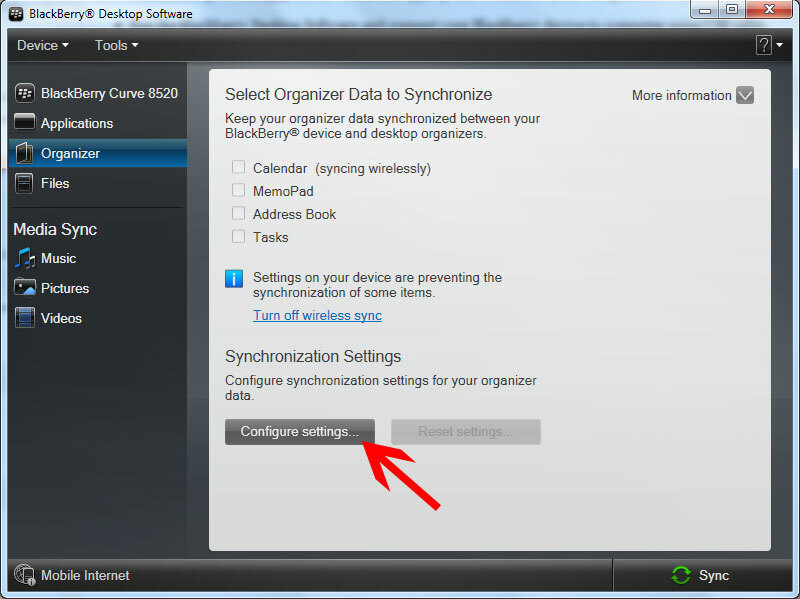 Run the Blackberry Desktop Software and connect your Blackberry device to computer using USB cable. 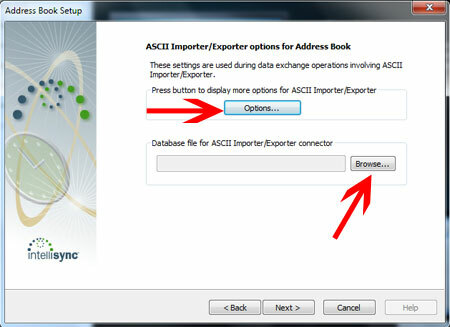 On ASCII Importer/Exporter options for Address Book dialog, click the Options button then choose Comma on options dialog. Still on the same dialog, click the Browse button then point to the directory where you want to put the exported contacts file. Give it any name you want with csv extension (ex: contacts.csv). Note that the csv extension is not mandatory, you can use .txt or any type you want. 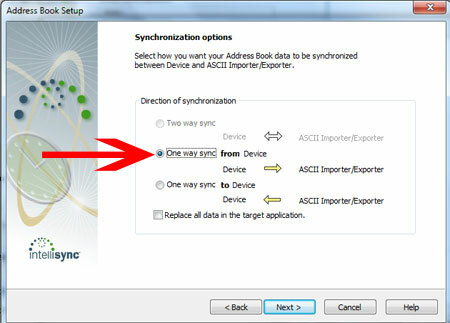 Click the Sync button to start syncing. 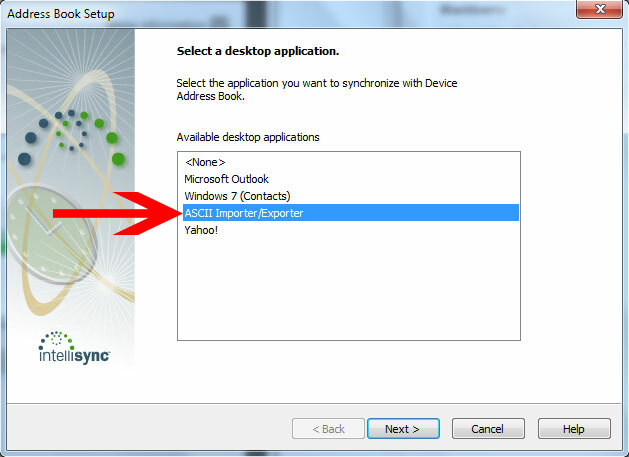 When the sync completes, click the Accept button on the dialog that appears after it. Go to the directory where you save the contact file. 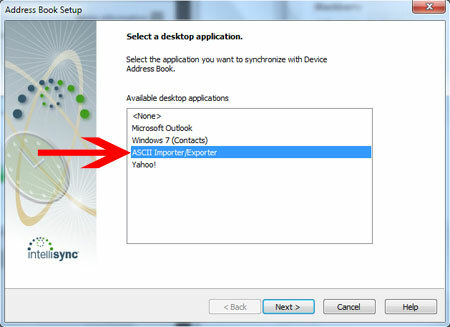 If you have Microsoft Excel installed, try to double click on the file then it will be opened on Excel, you can see the list of your contacts there. 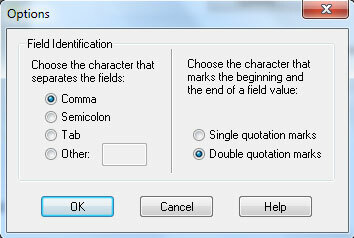 You can also open the file using notepad or other text editing softwares. 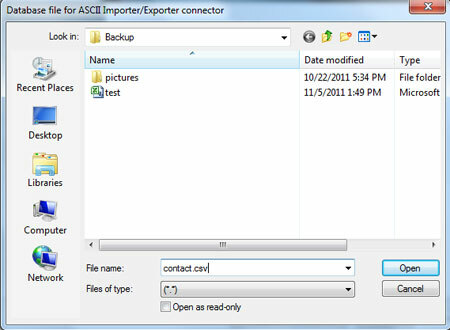 Now you already have the Blackberry contacts on a comma separated format file (csv). It is time to import the file into Gmail contact. The next step is to load the contacts from csv file into Gmail contact list. Go to gmail.com then log in using your Gmail account. Click the Import Contacts menu then select the csv file. Click the Import button and wait untill the process completes. If no error occured, you should see your Blackberry contacts now on your Gmail contact list. Enable the contacts sync as described on step-a pic-3. Now just wait for several minutes, your contacts will be loaded automatically into your Android contact list. Note that the above images taken from Nexus S with Gingebread OS version. Your menu settings may differ from images above if you use different android version or custom manufacturer UI. it is very simple and nice!!!! Very nicely explained, can you pls. help me out, as I have lost my device and am left with just backup file with extension .bbb . 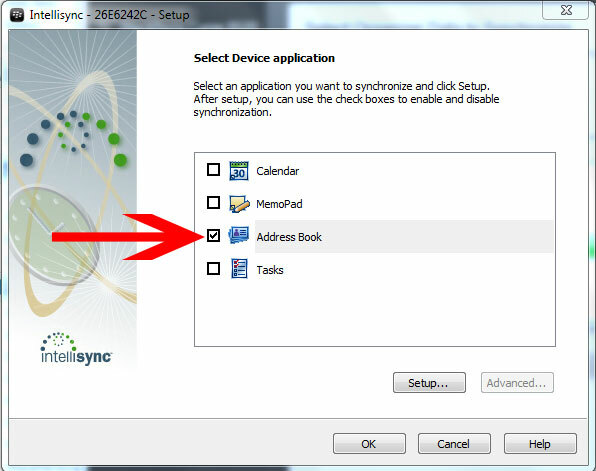 Desktop manager will show the the above stated options only if the device is connected to the system. Thanks. It worked real nice. Initially some phone numbers where shown as ‘work phone’ and couldn’t easily dial them. Later I edited the csv file to move them to ‘Mobile Phone’ column and then it worked like magic.